When I worked in the clinical setting I often observed physicians ordering TSH and Total T4 ONLY to assess a patient’s thyroid. Naturally, I would debate the issue with them time and time again, and only a few listened to the point that they changed their orders. I even posed the question to one new resident “if this were your wife, are these really the only two thyroid labs you would order?” My question seemed to resonate with him and he listened by ordering a couple additional tests but that was it. This situation occurred in an inpatient hospital setting and of course, I understand there are protocols for lab orders physicians must follow; however, I was thankful that even only a handful of doctors listened to my attempts to advocate for high-quality thyroid care. You have much more control over your healthcare in the outpatient setting, e.g. 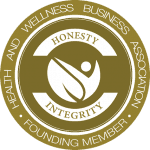 you have the autonomy to hire your own doctor – one of your choosing as a part of your wellness team. You also have the right to request a complete thyroid panel or self-order your own labs. Where thyroid health is concerned, it’s important that your lab values are “optimal,” and not on the low-normal or high-normal ends of the range. Most patients receive a phone call from their doctor or nurse to verbally report the results. Oftentimes, when TSH and T4 fall anywhere in the range deemed normal by the lab, they’ll be told everything is normal and that they don’t have a thyroid problem. Or, if TSH does happen to be elevated they may explain that they’re hypothyroid, will call in a prescription for Synthroid and see you back in approximately 6 weeks. If TSH is suppressed, they’ll typically communicate that you are hyperthyroid and refer you for an imaging test which includes taking radioactive iodine. To approach thyroid health in this manner completely disregards a potential autoimmune thyroid disease process such as Hashimoto’s thyroiditis, Graves disease, or even Hashitoxicosis. The two panels commonly ordered by conventional practitioners simply do not show what may be going on and you have a right to know. Again, you want your thyroid lab values to be in the optimal range and you it is essential to either confirm or rule out underlying autoimmunity because it’s impossible to treat autoimmune thyroid disease solely with thyroid medication. Although it is necessary, thyroid medication does nothing to address the autoimmune process of your body attacking the thyroid gland. In Order to Manage Your Thyroid Health, You Must Know What Tests to Ask For ~ and You Must Request COPIES of Your Lab Reports FOREVER! Your labs tell a story, and over time you’ll start to notice sublte or drastic changes that are worth paying attention to. The TSH test. Thyroid advocates all over the world are pushing for better thyroid care. This marker is not 100% reliable and does not detect what may be going on with the thyroid. TSH (thyroid stimulating hormone) is an indicator of what pituitary gland is doing. Think of it like this: the pituitary gland is an alarm clock and the thyroid gland is your brain. You’re asleep in bed and in the morning your alarm (pituitary) is sounding repeatedly to awaken your brain and yet your brain doesn’t respond to the signal; so the alarm continues to go off. We can assume in this scenario the pituitary is working fine – but the thyroid isn’t. Before putting someone on replacement thyroid hormone wouldn’t it be important to run a complete thyroid panel? Another issue with the TSH test is the discrepancies in what is considered normal range values. Conventional medicine practitioners typically follow a range of 0.5 to 5.0, whereas functional and integrative practitioners view a healthy TSH value as anywhere from 0.3 to 3.0. You can see how this might leave many people with classic thyroid symptoms undiagnosed, wondering why they’re so fatigued, losing hair, experiencing extreme fatigue and weight gain. During my personal journey of being misdiagnosed for 8 years, I often had an optimal TSH. I was struggling with undiagnosed Hashimoto’s all along but didn’t know it! My body was a complete mess and felt like I was aging before my time. 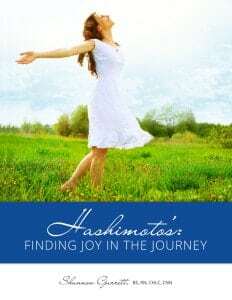 I discuss my health challenges in detail in my ebook Hashimoto’s: Finding Joy in the Journey. If you haven’t already done so I hope you get a chance to read it soon. Triiodothyronine (T3) is the thyroid hormone usable by the body for metabolic energy. Without sufficient T3 available to the cells, you are lacking in energy, quality sleep, digestion, healthy skin, hair, nails, mental focus, and mood. Rough and scaly “thyroid” skin & brittle hair that’s falling out is no picnic. These outward manifestations are a mirror of what’s going on inside the body and typically get worse with time. The human body, head to toe, inside and out, needs optimal levels (not too much, and not too little) of Free T3. Levothyroxine (T4) is the thyroid hormone which T3 is derived from after it loses an atom of iodine. T4 must be converted to T3 because it cannot be used by the body. It happens during a metabolic conversion in the GI tract and the liver. I remember when I was on Synthroid (a T4-only medication) and how HORRIBLE I felt – I was getting worse as time went on and the only wisdom my “world-renowned” endocrinologist had to offer at the time was to continue raising the dose. As he raised my Synthroid dose, I literally became sicker, fatter, and extremely tired, hopeless and depressed. Why? Because as with many women with Hashimoto’s, my body wasn’t converting T4 to T3 due to underlying issues with the liver, the GI tract and chronic inflammation due to oxidative stress. However, my labs continued to show normal TSH and T4, the only two tests my doctor at the time would even order. He said I was normal and that my symptoms must be related to depression. He prescribed Zoloft, said that my symptoms of depression and low energy were part of being a woman and that I should focus on eating less and exercising more. I walked out the door and never returned. This is really a major issue – your lab report must say the word “free” before T4 and T3, otherwise, it means the test measured “bound” T4 and T3. It is important to know what is free and available to the cells. The word “free” means that which isn’t bound to a protein molecule and is available to enter those T3 receptors on the cells, or how much “free” T4 is available for conversion in the first place. “So what” if it’s riding around on a protein molecule – this is not of much use in diagnosis or treatment. We mostly want to know what is free and available to the cells and for conversion. One thing that baffles me most is referring to Hashimoto’s or Graves’ as “thyroid” diseases. These diagnoses are an autoimmune condition, just like rheumatoid arthritis, multiple sclerosis, lupus, scleroderma, pernicious anemia, hemolytic anemia, Crohn’s disease, ulcerative colitis, celiac disease, and more. There are 80-100 autoimmune diseases that can attack various body systems and tissues, so regardless of what “label” we give each one. Autoimmune disease is a condition of a confused and chaotic immune system…NOT the other way around. In the cases of Hashimoto’s or Graves’ and all autoimmune diseases, it is the immune system driving the disease process, not the thyroid gland. 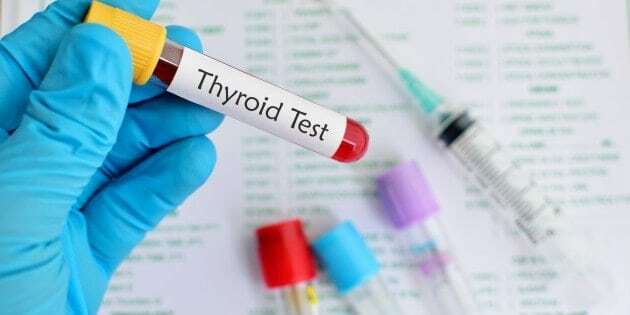 Thyroid lab markers to assess Hashimoto’s or Graves’disease are blood tests called Thyroperoxidase (TPO) and anti-Thyroglobulin (TGB) antibodies. To learn what additional tests you need to request from your doctor review my post on Thyroid Basics. If for some reason your doctor won’t order a complete set of thyroid labs for you, you can pay out of pocket and order them yourself very inexpensively through our self-ordered blood testing options channel with UltaLabs. Specifically, the Advanced Thyroid Health Panel and includes the essential thyroid labs you need for less than $150. Can Stress Trigger Thyroid Autoimmunity? When Should You Request a Thyroid Ultrasound? Success! Now go check your inbox to confirm. I would also like to enroll in the FREE Hashi's Sisters autoimmune thyroid eCourse. I have been reading up on ur article and came across a lot of information that was very infomative.All you have mention is so true Dr just give you the runaround and don’t really give a damp about you and I like the fact that you said and “I quote what if this was your wife”I tried so long to get off my elroxin and all I get from my Dr you don’t want to do that.I also want to no why does my thyroid keep fluctuating from under to over. Hi Claudette, thank you for posting your comment. Have you taken my Hashi’s Sisters Autoimmune & Thyroid eCourse? It is free and full of helpful information that might help you with some of the issues you are experiencing. The enrollment tab is on the homepage of the website. I appreciate you visiting the website and wish you the best in your journey.